Electronics careers are plentiful. Few people, however, consider employment in this field likely because they don’t know whether they have the aptitude. But, that was then. Now, there are a wide range of simple kits you can purchase, such as the Arduino Uno Ultimate Starter kit, that can teach you the basics so you’ll find out if you have what it takes. It's on sale today for only $51.99. Arduino is an open-source electronics prototyping platform that lets you build a wide variety of gadgets. Perfect for beginners, each cost-effective kit offers an introduction to electronics fundamentals and design practices. If you find you love working with electronics, then you can use your experience as a springboard to more formal training. 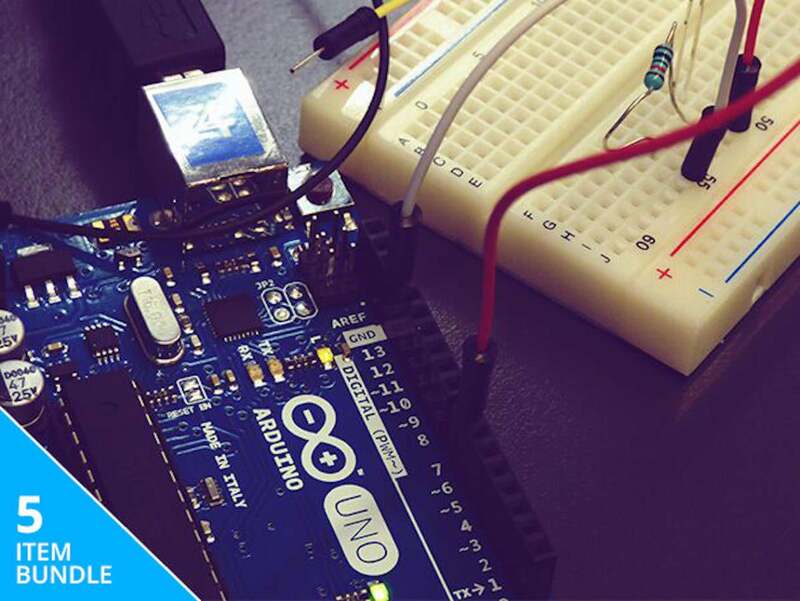 The Arduino Ultimate Starter Kit and Course Bundle includes the popular Arduino Uno board, a selection of electronic components, and access to four courses that’ll show you how to use it. The courses are delivered online so you can learn on your own schedule, and they’re accessible for life so you can take as long as you want to complete them. Explore your aptitude for electronics design with the Arduino Uno Starter Kit and Course Bundle. This package is normally valued at $355 but you can save 85% off this cost and purchase it now for just $51.99.